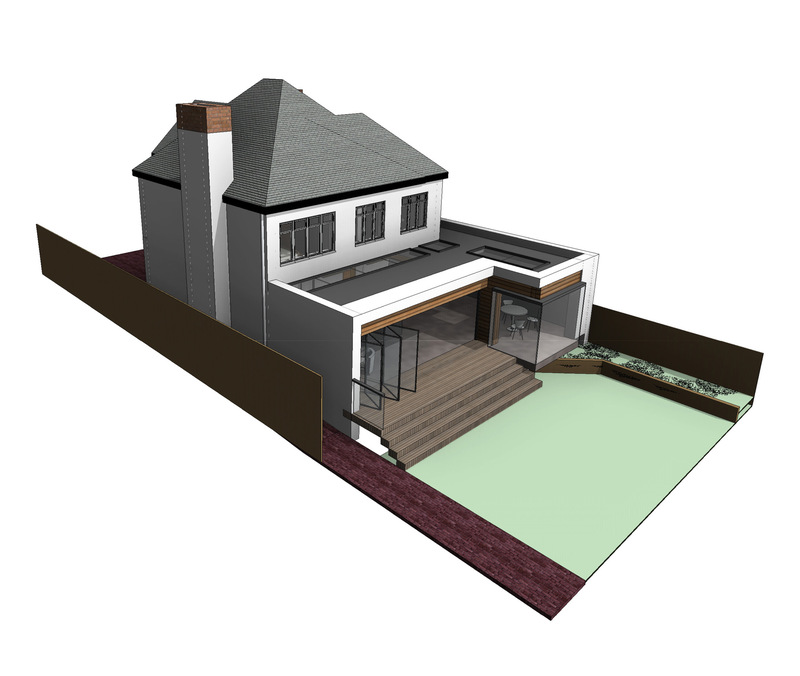 This project involves the ground floor extension to an existing detached house for a private client living in Woodford Green, North London. 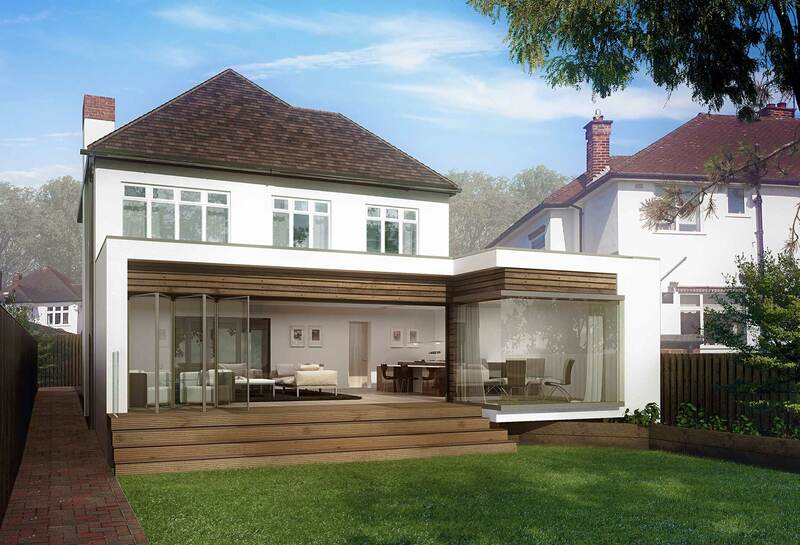 Artform Architects took a contemporary approach to designing the single storey extension which maximises views out to the rear garden and creates a large, open plan interior filled with natural light. 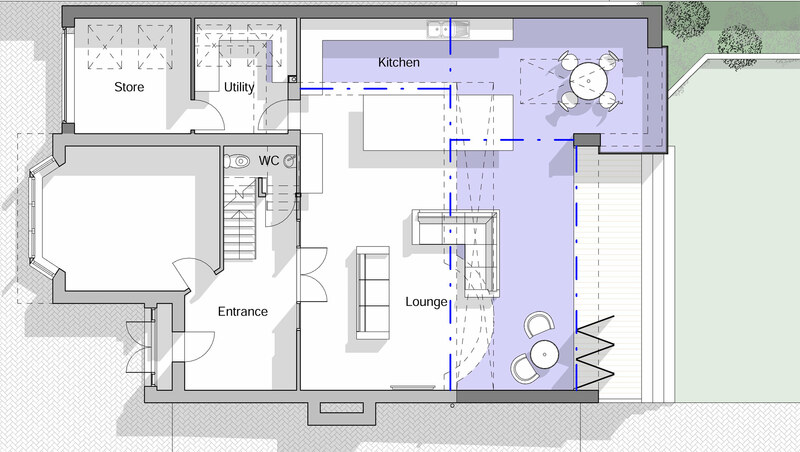 The design incorporates a single space for kitchen, living and dining with bi-fold doors opening out to an elevated area of decking. The dining space features a fully glazed corner and two large rooflights bring natural light into the depth of the plan. Timber cladding and white render create a distinct apperance externally.